San Francisco, California, September 22, 2016 – SweetRush, Inc., has been recognized by Training Industry as one of the top 20 companies providing gamification services in corporate learning and development. 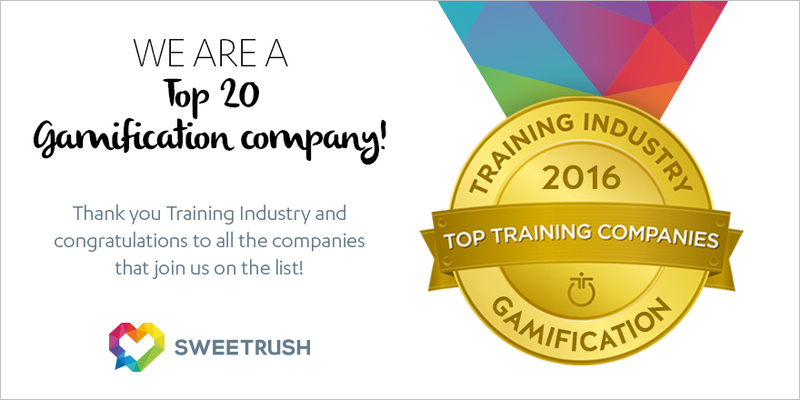 This is the third consecutive year that Training Industry has included SweetRush in its Top 20 Gamification Companies list. Earlier this year, SweetRush was recognized by Training Industry as a Top 20 Content Development Company.